The 2019 chapbook has been completed! You can find copies of the magazine scattered around the various Wake Tech campuses. If you would like a copy of the 2019 chapbook but are unable to find one, please contact one of our faculty advisors. 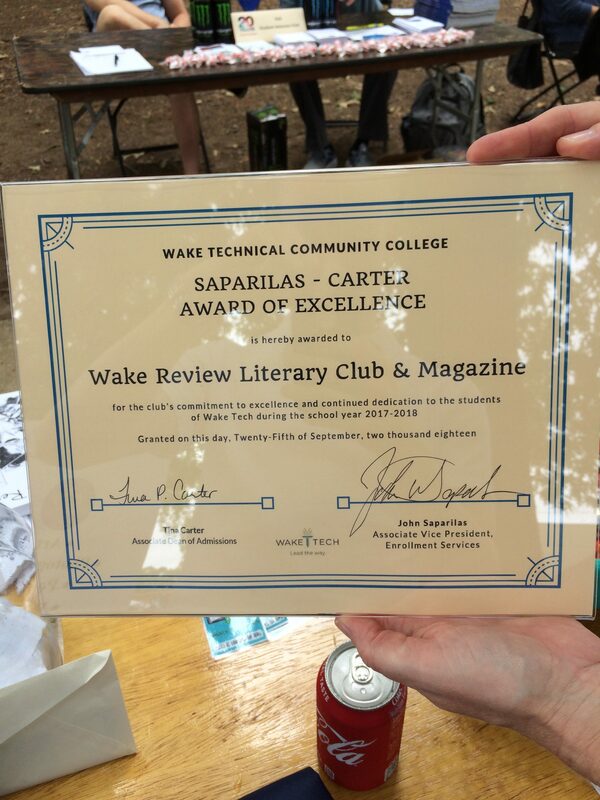 The Wake Review will be hosting our annual public reading and award ceremony on Tuesday, April 9th at 6pm in the upstairs conference room of the Student Services Building on Southern Wake Campus. We hope you will join us as we celebrate the unveiling of our 2019 edition! 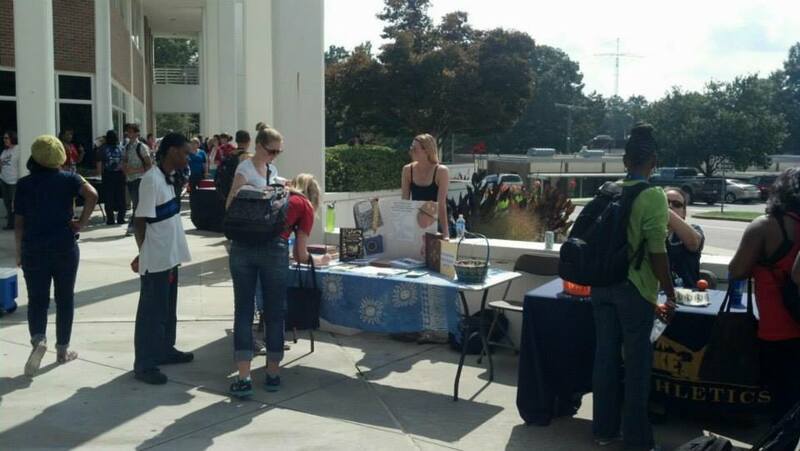 The Wake Review meets every Thursday in the spring and every other Thursday in the fall at 3:30pm on Southern Wake (Main) Campus in room 308 of the PLM building, also known as building B or SB. All are welcome! 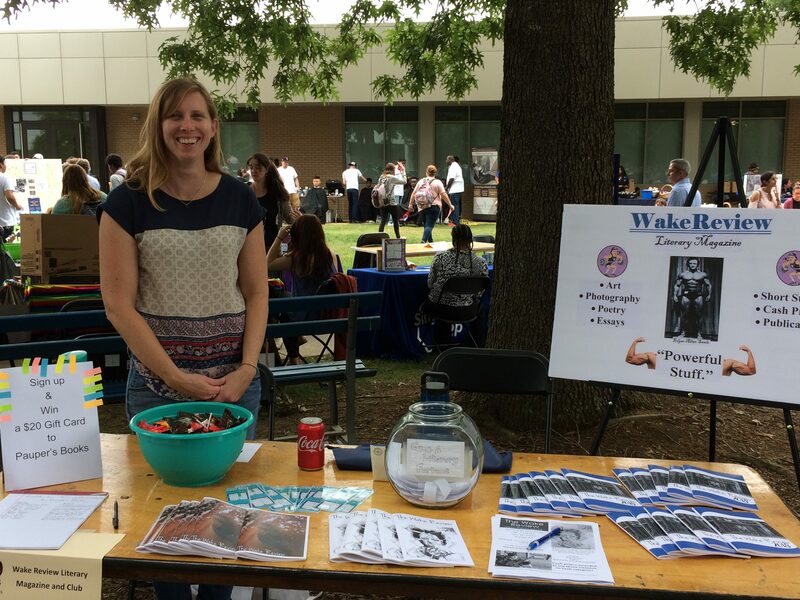 If you want to have a hand in creating Wake Tech’s literary and artistic publication, feel free to join us. We hope to see you there! There are no more meetings scheduled for spring 2019, and we are not active in the summer months. 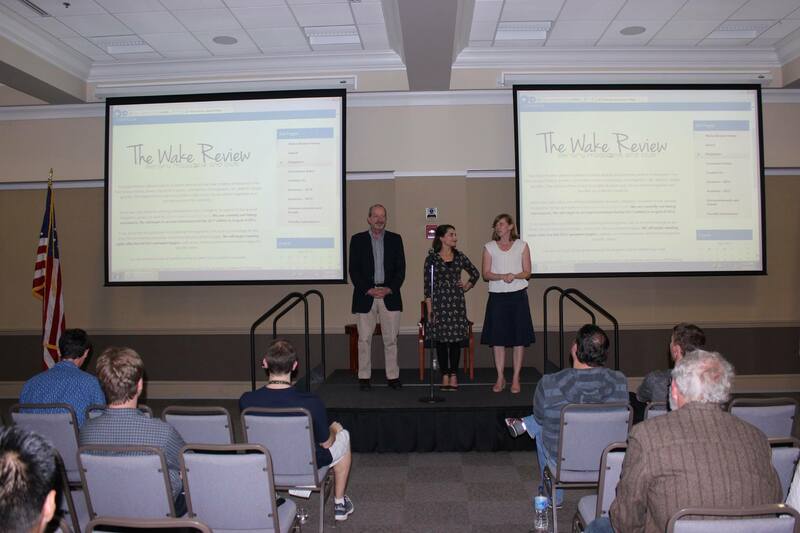 The Wake Review will reconvene in the fall semester. We’ll see you then! 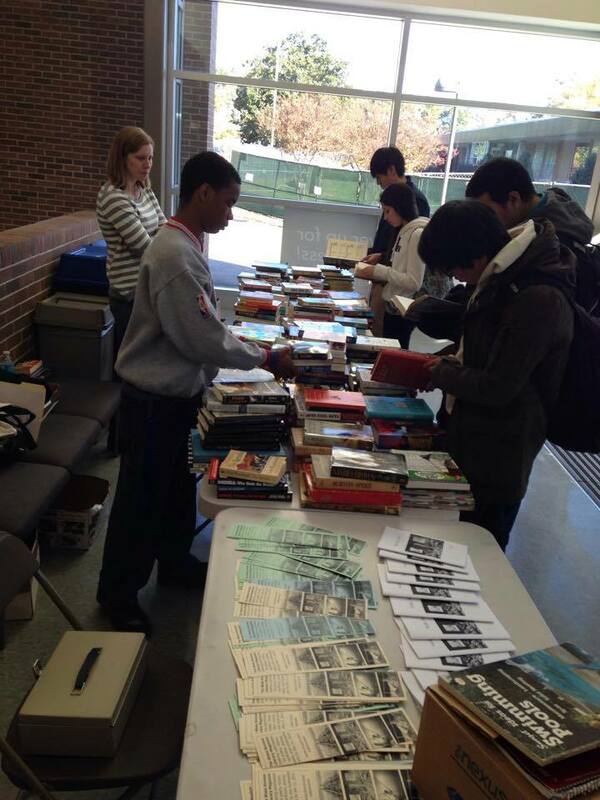 A book sale hosted by the Wake Review on October 16, 2015. 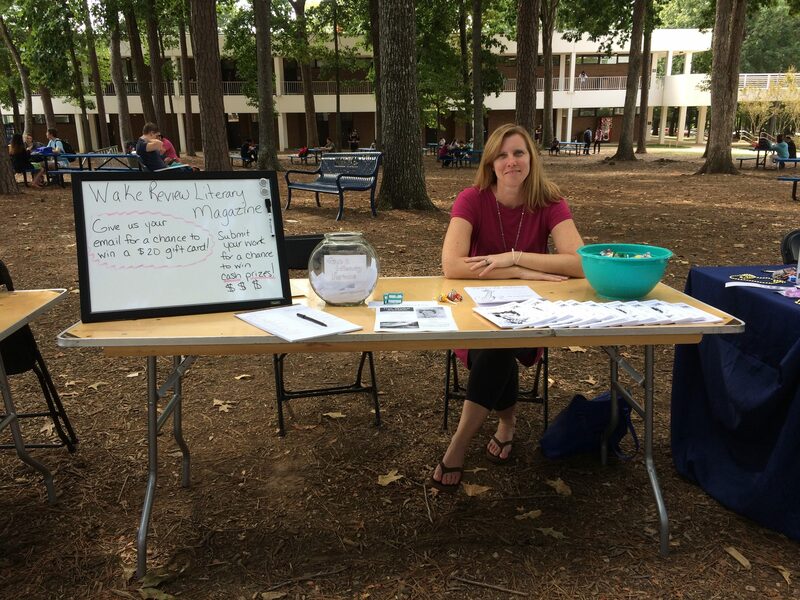 Faculty Advisor Mandy Kelly at Facts & Snacks on September 25th, 2018. 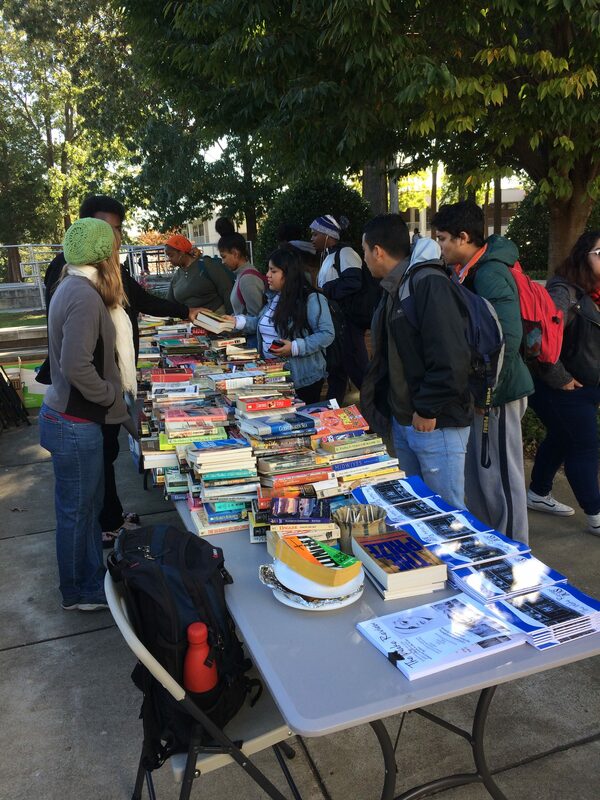 A book sale hosted by the Wake Review on October 24th, 2018. 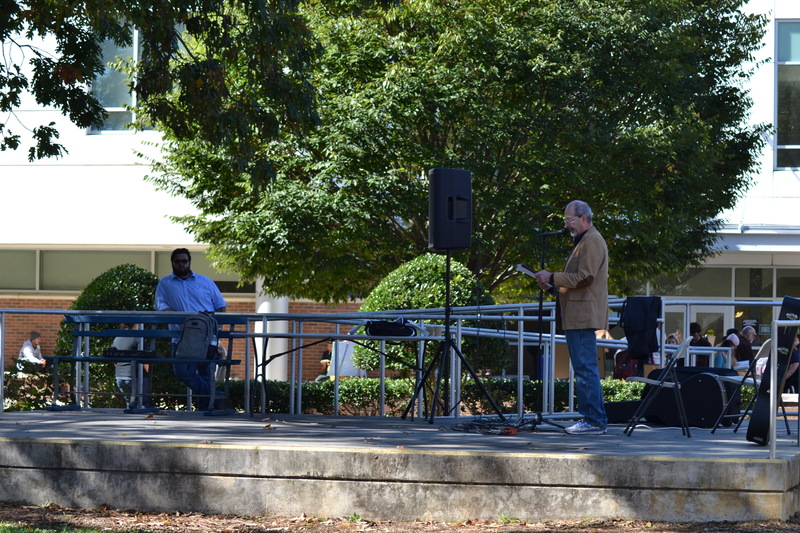 Faculty advisor Dean Furbish reading a poem at Arts Fest on October 27th, 2017. Faculty advisor Mandy Kelly at Facts & Snacks on September 21st, 2017. The Wake Review at Facts & Snacks in September 2014. 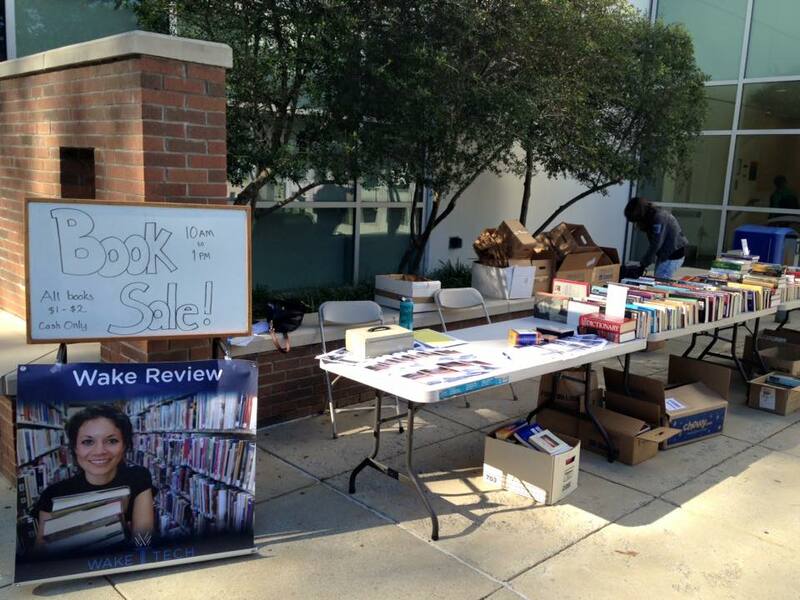 A Booksale hosted by the Wake Review on November 19th, 2014. The Wake Review award ceremony on April 11th, 2016.